Jamie Oliver is a delightful human being. I have loved him since he brought his first book out – The Naked Chef – back in the late nineties, and he’s still a go-to for me if I’m looking for something snazzy to create in the kitchen. The crumpet – something that I have told myself I WILL one day cook from scratch, but for this recipe I just used store-bought ones. A much speedier alternative. Finding crumpets in Dubai is like trying to find a shadow in the dark. Not easy. They’re one of those products that just doesn’t stay in stock. Park ‘n’ Shop in TECOM usually has a couple of packets if you go in the morning before they have been snapped up by other crumpet-lovers. If you’re lucky, that is. So I can’t begin to tell you my excitement when I found three packets in there this morning! I did a happy dance right there and then. I wish that was a joke. I was planning on giving eggs benedict a whirl this morning, but when I found this recipe in Jamie At Home, I was sold in an instant. 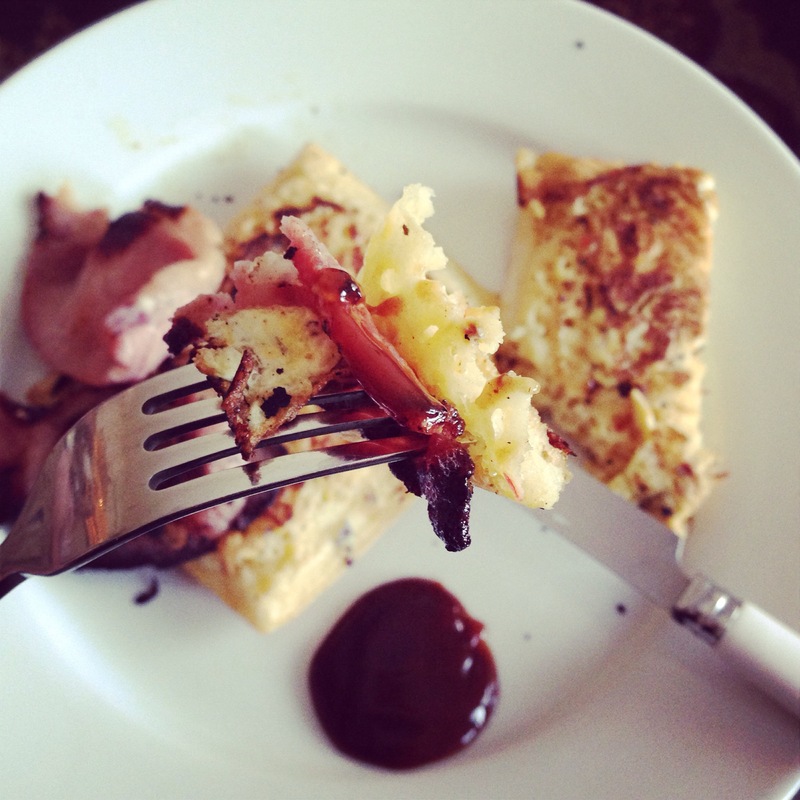 A HUGE fan of eggy bread, this souped-up version felt like a must-try. The porous nature of the crumpets absorbs the eggy mixture beautifully, and the added chilli certainly kick-starts one’s morning! This can be served with either a dollop of brown sauce or a drizzle of maple syrup, depending on whether you’re in a sweet or a savoury mood. 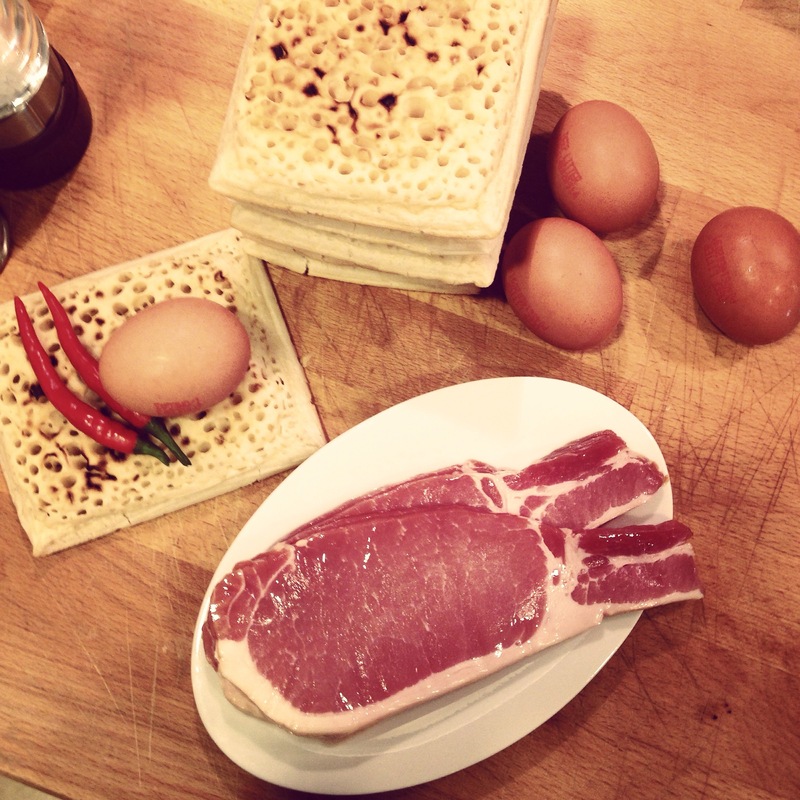 Both are marvellous accompaniments to the eggy crumpets and crispy bacon rashers. I used square crumpets, as that was what was available, but round are fine too! 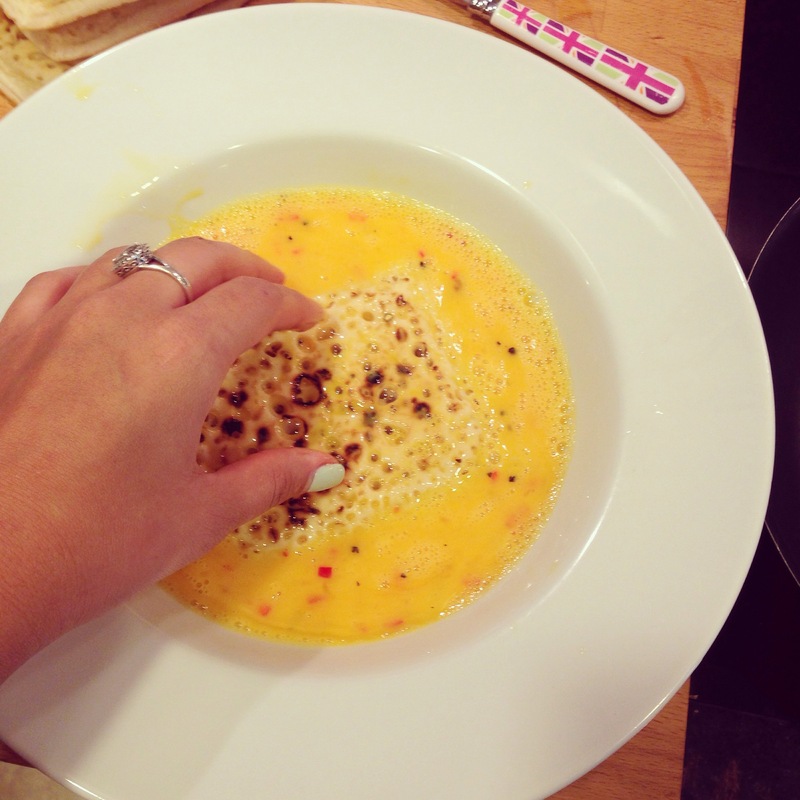 Oh and a handy dandy tip – WASH YOUR HANDS THOROUGHLY after chopping the chillies. I didn’t, rubbed my eye, and turned into an unplanned blubbering mess. It was not fun. Chilli is not fun unless being consumed – so be careful! 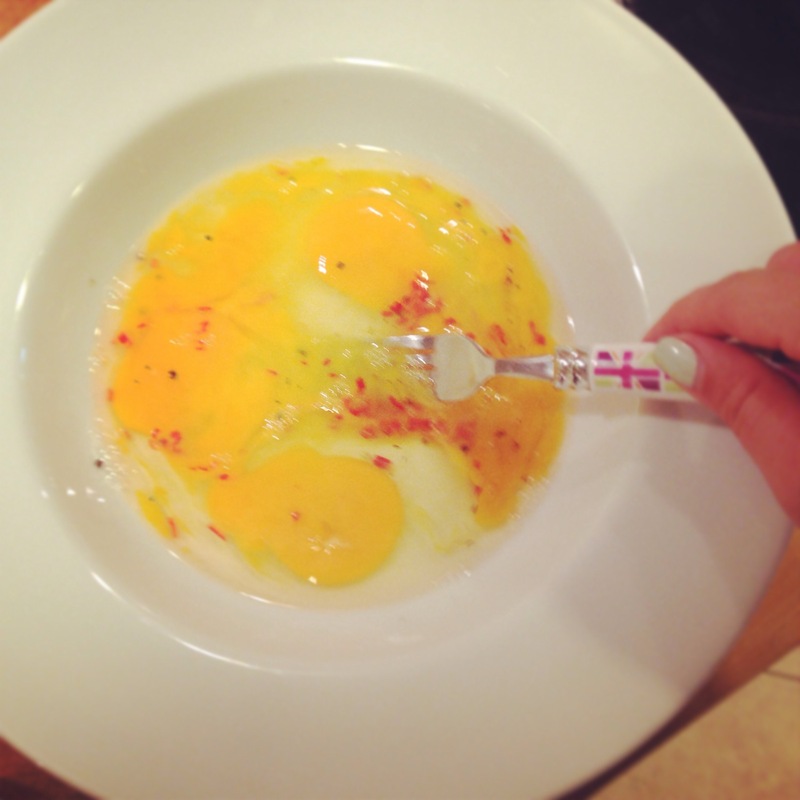 1/ In a shallow bowl, whisk together the eggs, chilli, salt, and pepper. 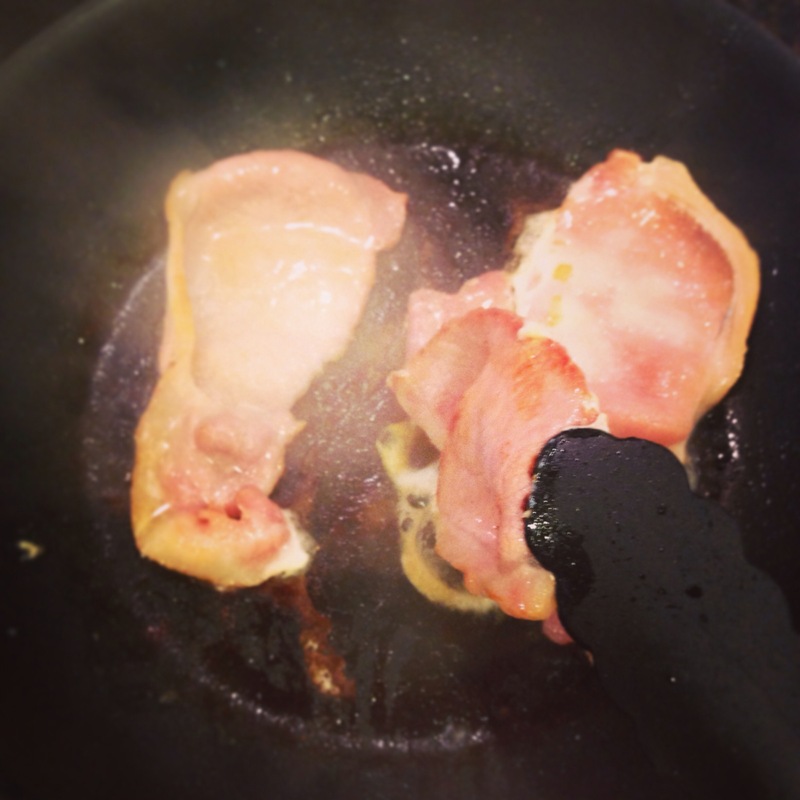 2/ Fry bacon in a drizzle of olive oil on a medium heat until brown on both sides, move to the side of the pan. 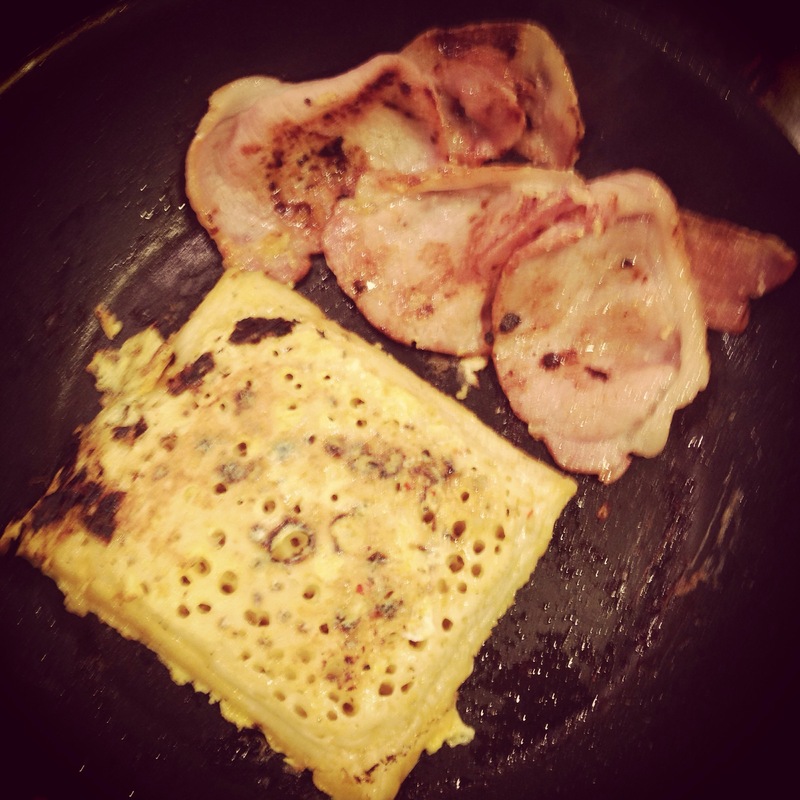 3/ Push crumpets into the egg mixture, turning to ensure full coverage on both sides. Add to pan, and cook until browned on both sides. 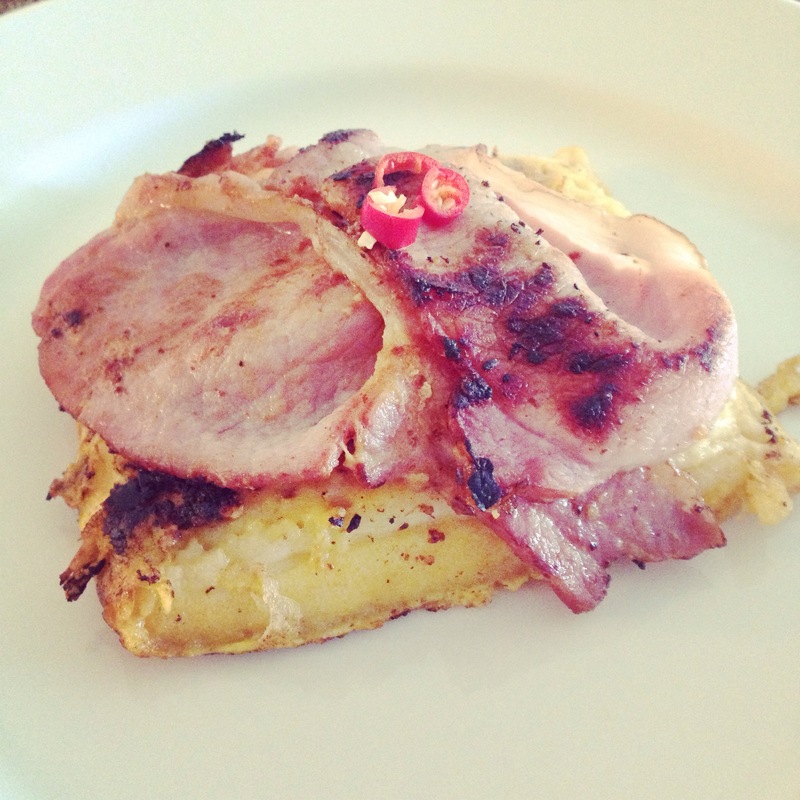 4/ Serve bacon on top of eggy chilli crumpets, with either brown sauce or maple syrup.